At MultiSports at Weald of Kent, we believe that participation is the key. We are not pretending to develop your youngster into a world-beater, it’s not all about winning, and it’s not selective. MultiSports is about introducing your children to a wide range of sport-orientated activities, harvesting potential no matter how great or small and developing life skills such as confidence, personal achievement and teamwork. MultiSports at Weald of Kent runs individual sports, team sports and team building activities within Weald of Kent Grammar School - Sevenoaks Annexe. Full contact details including a location map can be found here. The main school is a 3 hour morning session, during which students attend classes (split into age related squads) in three core subjects – Traditional Team Sports, Individual Sports and Team Building Challenges. The school year is divided into three terms running concurrently with the normal academic year. In their first year alone, students will be introduced to 18 different sports plus weekly themed team building challenges. We feel that MultiSports at Weald of Kent will give your child skills for life such as confidence, self-worth, fair play, generosity and team work. Students will receive quality sports coaching in: football, tag rugby, short tennis, fencing, archery, martial arts, kwik cricket, handball, netball, athletics, rounders, basketball, orienteering, unihoc, volleyball, fitness training, American football and badminton all under one roof! Our aim is to improve children's confidence, fair play, respect and sportsmanship skills. Little Sporties is a shorter hour and half session, during which students will be introduced to a wide variety of basic sporting skills and related activities. The aim of the class is to develop their fundamental sporting skills including agility, balance and co-ordination and speed. They will also enjoy many playground games and team building activities. It's all about building confidence! When they (and YOU) are ready, they can then progress up the main school, where they can enjoy many new challenges. For more information, please complete our enquiry form or call us on 01293 774 051. For full details of class times and fees, click here. Our students encompass the entire spectrum of sporting ability, with a healthy respect for each other and a strong team ethic being central to making MultiSports at Weald of Kent a welcoming and friendly place for youngsters to develop. Sara and Lisa have successfully been running MultiSports Sutton and Cheam since 2011. Prior to this they were both coaches at the school. Following its sustained popularity, they have now expanded, and apply the same successful model to Weald of Kent. Sara is the joint Principal of MultiSports as of the Summer Term 2011 and has been coaching at MultiSports Sutton and Cheam for 11 years. She is a qualified PE teacher, having taught for 10 years and is currently Head of Girls Sports at a Kent Prep school. She has played rugby for South East England as well as having a competitive background in a number of other sports. Lisa has been with the MultiSports Team for 9 years whilst being Head of Department at her school in East Grinstead, teaching PE for the last 14 years. She currently plays regional football for Crawley Wasps and used to compete at county level in athletics. 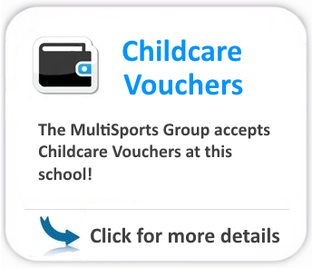 All of our coaches at MultiSports at Weald of Kent are fully qualified teachers, working in local prep and secondary schools. They have dedicated their careers to teaching and coaching children. You can read more about our teaching team here.